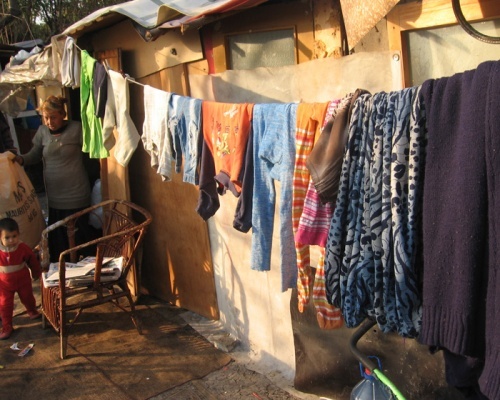 Sofia municipality has announced that it will demolish an illegal ghetto after Easter. Angel Dzambazki, head of the Municipal Committee on Public Order and Security, has issued the order for removal of the illegal settlement near the "Obelya" metro station. The ghetto has sprung up on municipal land in Sofia's “Vrabnitsa" quarter. A police check had revealed that 147 people were all registered at a single address, 77 at another, and 44 at a third. Local residents had organized a petition protesting at the illegal settlement, and gathered over 1 100 signatures in support of demolition. Vrabnitsa quarter is on the western side of Sofia. It has a population of over 47 000, and includes the neighbourhoods of Moderno Predgradie (Modern Suburb), Vrabnitsa itself and Obelia.